This advice is very important to help your child have a healthy body weight. This will reduce the risk of heart disease and other health problems later in life. Before a kidney transplant, many children have restrictions on what they can eat and drink – for example, much less of the minerals potassium and phosphate, which are found in many foods. After a kidney transplant, most children can eat a diet that is much less restrictive and more varied. 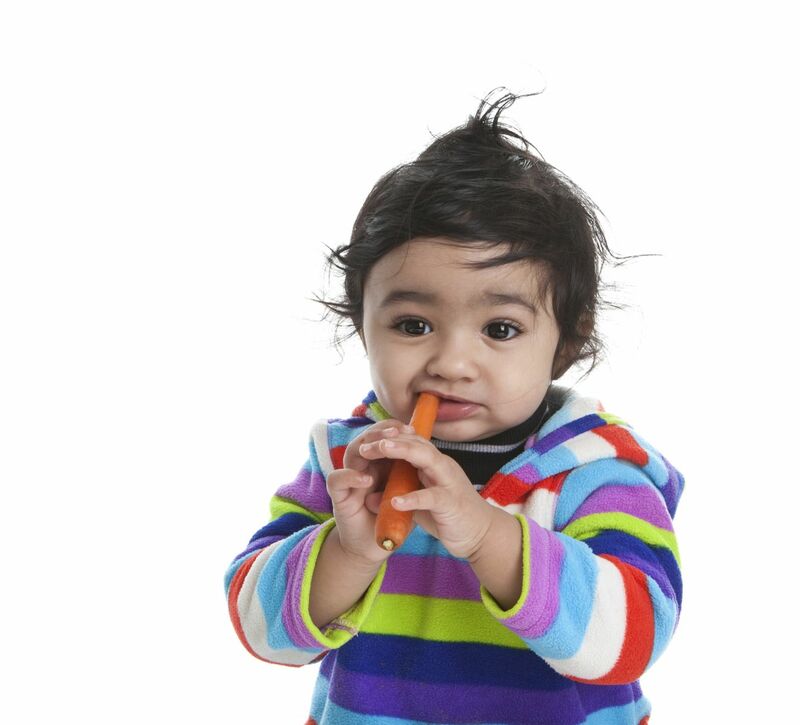 Your renal team will advise you on what your child can eat. Some children with kidney disease have a poor appetite, and do not want to eat. This usually improves after a kidney transplant. However, if your child eats too much food or a lot of unhealthy food, he or she may have higher amounts of fat and sugar in the blood over the long term. Your child may also feel more hungry than usual if he or she is taking steroid medicines, especially for the first few months when the dose (amount of medicine) is high. When the dose is reduced, this effect on appetite is reduced. Steroids can also lead to more of the mineral calcium being lost from your child’s bones. If your child is gaining too much weight, and you think that he or she may be eating too much food or unhealthy food, try the following. Make sure your child has regular meals – skipping meals may make them eat more later on. If your child wants a snack, try fruit, vegetable sticks or crispbreads, crackerbreads or rice cakes with a low-fat topping. He or she may also try sugar-free jellies, ice lollies or toast with low-fat toppings. Your child may have a glass of water or a low-calorie and low-sugar drink such as juice with their snack, to help fill up. Your child can have larger portions of rice, vegetables, pasta or potatoes with his or her meals, but do not add extra sauces or butter. It is important that your child has only a small amount of foods are high in fat (especially saturated fat), sugar and/or salt. Exercise is a very important part of staying healthy. When your child first comes out of the hospital after a kidney transplant, he or she will only be able to gently exercise at first. 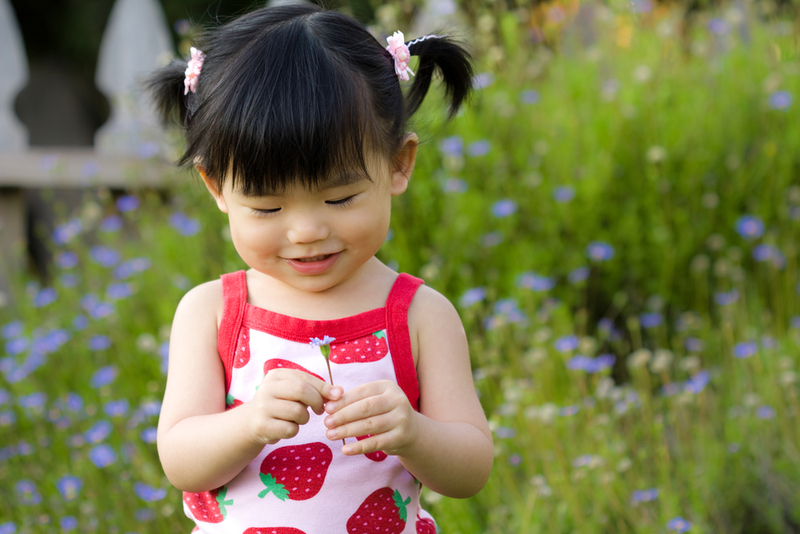 After about three months, your child will be able to return to his or her normal activities. Your child’s doctor and community nurse will speak with you about what is right for your child to do and when. Because of medicines taken after a kidney transplant, your child has a greater risk of getting ill from germs, such as bacteria. You will have been advised on this during your child’s hospital stay for the transplantation. avoiding certain ‘high-risk’ foods because they are more likely to have bacteria that can cause an infection. A healthy diet is one that contains a good balance of each of the food groups. 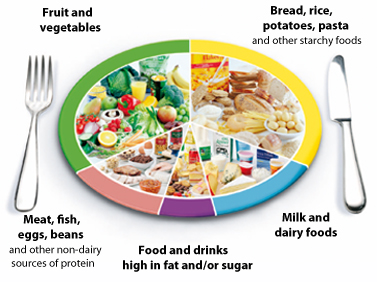 Use the Eatwell Plate to help get the balance right in your child’s diet. It shows how much your child should eat from each food group. It is important that your child eats five servings of fruit and vegetables every day. One serving size is about what can fit into the palm of your child’s hand. Fruit and vegetables have lots of vitamins and minerals. Eating plenty of them can help prevent serious health problems in adulthood, such as heart disease, stroke, type 2 diabetes and obesity. Include vegetables and fruit in your family meals. Add extra vegetables to casseroles, curries and pasta dishes. For example, grate carrots into minced beef when making cottage pie or Bolognese. Put salad in sandwiches and add vegetable sticks to your child’s lunch box. Give your child fruit for snacks. Sprinkle dried fruit on cereal or spread banana on toast. Your child can have fruit juice, or you can puree fruit for smoothies. Do not give grapefruit or grapefruit juice if your child is taking the medicine tacrolimus. Add fruit to cake mixtures when baking – then reduce the amount of sugar you add. Your child should eat plenty of starchy foods, such as bread, rice, potatoes and pasta. Choose wholegrain varieties – such as whole-wheat bread and brown rice – whenever you can. Dairy products like milk and cheese or fortified soya milk and desserts, are great sources of protein, vitamins and minerals for your child. These foods will help boost your child’s calcium intake. This is especially important when he or she is taking steroid medicines, which can make the bones lose calcium and so reduce their strength. If your child does not like or cannot drink milk, speak with your renal dietitian about other calcium-rich foods. How much should my child have? For children aged 2 years or older, you can try lower-fat choices such as semi-skimmed milk. Do not give your child skimmed milk until they are 5 years old. Your child should have one portion of meat, fish, eggs or beans at each of their main meals (in the middle of the day and in the evening). Choose options with less fat or healthier types of fat. Below are some tips you can follow as a family, to help your child eat healthy sources of protein. Cut down on products with processed meat such as sausages, burgers, pies and pasties. If you do have sausages, choose lower-fat varieties and grill them to allow some of the fat to drain away. It is usually best to eat less red meat than white meat. Try to have leaner cuts of red meat. When cooking mince, drain away any excess fat. Do not give your child the skin on poultry such as chicken, because it has more fat. Fish is usually a good option, but try to avoid battered, fried fish. Oily fish is very good, as it naturally contains a healthy type of fat called omega-3, which has been shown to reduce the risk of heart disease. Oily fish can contain low levels of pollutants (chemicals that can be harmful if you have a lot of them) that can build up in the body over time. Because of this, it is recommended that girls only eat two portions a week (a portion is 140 g). Boys can eat up to four portions a week. Try salmon and mackerel. Tinned varieties are just as good and are useful for sandwich fillings. Meat alternatives such as Quorn™, tofu and soya products are lower-fat options and suitable for vegetarians. Nuts and seeds also contain healthier fats but can be quite high in calories. Your child should try not to snack on them if he or she needs to limit weight gain. It is important that your child cuts down on fat, sugar and salt, especially if they are gaining too much weight. Fat is an important part of your child’s diet – it provides energy as well as some important vitamins. However, is important that he or she does not eat too much fat, and that more of the fat he or she eats is unsaturated rather than saturated. Saturated fats can increase the cholesterol in the blood, which can increase the risk of many diseases, such as heart disease and stroke, later in life. Some foods, especially biscuits, cakes and fried snacks, contain a type of saturated fat called trans fats. These fats are made by hardening oil, and helps give foods a longer shelf life. They are often listed as hydrogenated fat on the food packaging. Unsaturated fats are much healthier for the heart and can actually reduce cholesterol. They are found in vegetables and oily fish, as well as some margarines – look for a label that says 'high in polyunsaturates'. These fats contain essential fatty acids, which help keep us healthy, and may protect your child from heart disease later in life. We need to eat these because they cannot be made by the body. Some important ones are omega-3 and omega-6 essential fatty acids. You can read the labels on packaged foods to find out the amount of saturated fat and total fat. More than 5 g saturated fat per 100 g food is a lot of saturated fat. More than 20 g total fat per 100 g food is a high-fat food. Most children and adults in the UK eat too much sugar. There are natural sugars in foods such as fruit and milk, but these are healthy. Sugars are added to many foods, such as sweets, cakes, biscuits, chocolate and some fizzy drinks and juice drinks – your child should only have small amounts of these foods and drinks. These foods also have a lot of calories, and so may contribute to putting on too much weight. fizzy drinks and juice drinks. Your child should eat more fruit instead of sugary foods – it is so good for you! Try plain or fruit buns, scones or teacakes instead of cake. Have plainer, semi-sweet biscuits. Gradually cut down on sugar added to your child’s cereal or in drinks. Try not to give your child sugar-coated breakfast cereal, and choose the wholegrain types with added fruit. Drink water and diluted fresh fruit juice or low sugar drinks. Try different toast toppings such as mashed banana, reduced-fat cream cheeses and reduced-sugar jams and marmalades. Try natural yoghurt or plain fromage frais with chopped or pureed fruit, instead of yoghurts that have added sugar. Many children and adults in the UK eat too much salt. This can increase the risk of high blood pressure (hypertension) and heart disease. Lots of salt is added to ready-made foods, so even if your child does not add salt to their meals, they may still be eating far too much. By cutting down salt over time, your child may find that he or she does not miss it as much. Try to avoid giving your child salty snacks such as crisps, corn snacks, salted nuts and savoury biscuits. Choose lower-salt types or, even better, unsalted. Try not to give your child too many ready-made or takeaway meals, such as pizza, nuggets and coated potato wedges. Smoked fish, cheese and bacon contain a lot of salt, so only have a small amount of these or have them occasionally. Have lower-salt varieties of baked beans and other tinned foods. Cut down on ketchup. Avoid dehydrated meals such as pot noodles or dried pasta/rice with sauce or flavourings. Do not add extra salt to meals that you cook, or at the dining table. Do not use salt substitutes such as ‘Lo Salt’ or low-sodium salt. These may contain potassium, which can be harmful in some children who have had a kidney transplant. You can read labels to help you understand if a food is high in salt. Salt is often written as sodium. Labels will give the amount of salt or sodium in grams (g). 1 g sodium is the same as 2.5 g salt. Less than 0.1 g sodium or 0.3 g salt per 100 g food is a low-salt food. More than 0.6 g sodium or 1.5 g salt per 100 g food is a high-salt food. 11 years and older – no more than 6 g salt or 2.5 g sodium.